It has been reported that Rhythm Section, in which Blake makes her spy debut, has its release date moved from February to November 22! Deadline broke the news and you can read the full report below. Wondering why there wasn’t a trailer to the Reed Morano-directed spy film Rhythm Section yet? That’s because Paramount is moving the IM Global/EON femme spy pic from its Feb. 22 release date to Nov. 22, the Friday before Thanksgiving. We’ve been hearing about the release date change for a while and from what we know the pic has a great action tone that’s prime for the fall, especially during awards season. Word is Lively is fantastic in the movie. EON’s 007 pics have typically launched in the November month. Morano won a DGA Award last year for her directing work on The Handmaid’s Tale. Based on Mark Burnell’s series of “Stephanie Patrick” novels, Rhythm Section centers on Lively’s protagonist who takes on an assassin’s identity so she can wage revenge against those who orchestrated a plane crash that killed her family. Barbara Broccoli and Michael G. Wilson are producing under their EON banner. IM Global financed. Paramount pictures took global rights. Rhythm Section will open against Frozen 2 on Nov. 22, and will further battle Rian Johnson’s Lionsgate/MRC pic Knives Out on Thanksgiving Eve as well as Universal’s Queen & Slim. 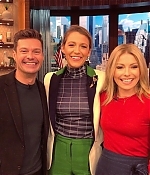 Blake Lively and Anna Kendrick visited the french tv show “C à Vous” to promote their movie “A Simple Favor“. Lively was wearing a wore a Chanel pre Fall 18 suit and coat, Christian Louboutin ‘Goyetta’ pumps, a Chanel flower bag, Chanel Fine jewels and a Chanel ‘Boyfriend’ watch (thanks to @blakelivelyreynolds.outfits and RCFA). Blake Lively attended ‘A Simple Favor’ Paris Premiere held at the Cinema UGC Normandie in Paris, France on September 18, 2018. 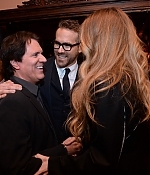 The actress was joined by Anna Kendrick and the film’s director Paul Feig. 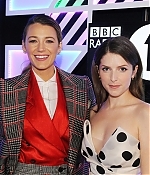 Blake Lively attended ‘A Simple Favor’ UK Premiere held at the BFI Southbank on Monday (September 17) in London, England. 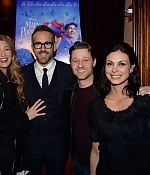 The actress was joined by Anna Kendrick and the film’s director Paul Feig, as well as Stanley Tucci, who stepped out to show his support. Blake visited Twitter studios on September 10 and sat down for a Behind The Tweets video where she explained some of her tweets – giving us an insight of what was really happening back then. 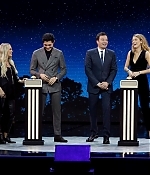 Blake Lively visited The Tonight Show Starring Jimmy Fallon on September 13, 2018. She spoke about Baby Spice, tweets, “A Simple Favor”, and played a game with Jimmy, Carrie Underwood and her A Simple Favor co-star Henry Golding! 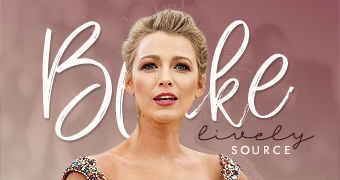 On September 10, Blake stopped by ‘Live with Kelly & Ryan’ for an interview. She spoke about the Ralph Lauren fashion show, The Sisterhood of the Traveling Pants, The Rythm Section, A Simple Favor. 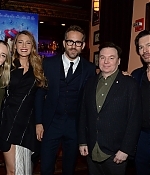 Vanity Fair – Comedy director Paul Feig turns dark with his latest film, A Simple Favor—a noir thriller starring Blake Lively, Anna Kendrick, and Crazy Rich Asians breakout Henry Golding—which gives its cast a chance to portray the sort of sinister characters they’ve never played before. Based on Darcey Bell’s popular 2017 novel, A Simple Favor (out September 14) centers on perky, type A, suburban-mommy vlogger Stephanie Smothers (Kendrick), who seeks to solve the sudden disappearance of her new friend, Emily Nelson (Lively). Emily vanishes after she asked Stephanie for a simple favor: to pick up her son from school one afternoon. Stephanie and Emily’s husband, Sean Townsend (Golding), set out to find where she has gone. The missing-person plot takes several warped twists and turns, keeping moviegoers off-balance as the mystery unfolds. Kendrick, tasked with playing an overzealous parent who video-blogs about homemade gazpacho, also found the film demanding—especially when her character had to go up against Lively’s. As Emily’s morally ambiguous husband, Golding upends expectations at every turn. It’s a role completely opposite from his lovable, swoon-inducing on-screen persona in Crazy Rich Asians. Since the release of his first blockbuster, Golding’s life has changed dramatically. He’s getting recognized on the street, sitting in the front row at fashion shows, and enjoying the perks of fame—especially the special treatment he gets at airports.